Quite simply, computer hardware is the physical components that a computer system requires to function. It encompasses everything with a circuit board that operates within a PC or laptop; including the motherboard, graphics card, CPU (Central Processing Unit), ventilation fans, webcam, power supply, and so on. Although the design of hardware differs between desktop PCs and laptops due to their differences in size, the same core components will be found in both. Without hardware, there would be no way of running the essential software that makes computers so useful. Software is defined as the virtual programs that run on your computer; that is, operating system, internet browser, word-processing documents, etc. Although a computer can function only when both hardware and software are working together, the speed of a system will largely rely on the hardware used. When building up a new computer, or simply replacing old parts, you may need to know the specific hardware in your computer. The purpose of this guide is therefore to help you understand the inner-workings of your computer. The motherboard is at the center of what makes a PC work. It houses the CPU and is a hub that all other hardware runs through. 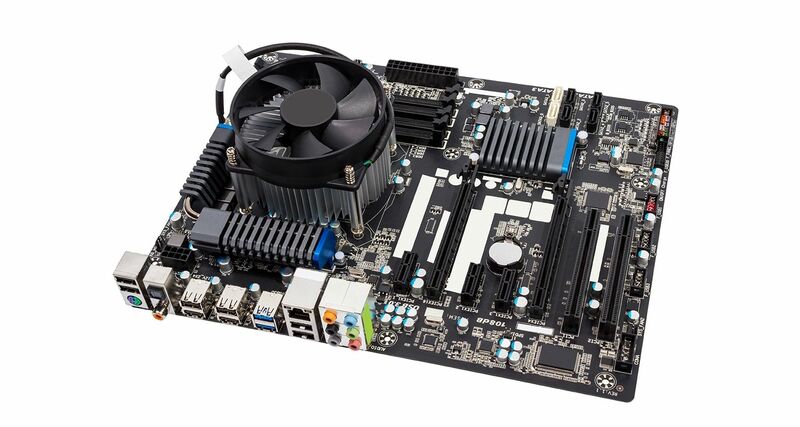 The motherboard acts as a brain; allocating power where it’s needed, communicating with and coordinating across all other components – making it one of the most important pieces of hardware in a computer. When choosing a motherboard, it’s important to check what hardware ports the motherboard supplies. It’s vital to check how many USB ports, and what grade (USB 2.0, 3.0, 3.1) they are, as well as what display ports are used (HDMI, DVI, RGB) and how many of each there are. 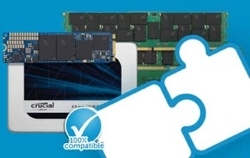 The ports on the motherboard will also help you define what other hardware will be compatible with your computer, such as what type of RAM and graphics card you can use. Although the motherboard is just one piece of circuitry, it is home to another one of the most important pieces of hardware: the processor. What is a CPU (Central Processing/Processor Unit)? 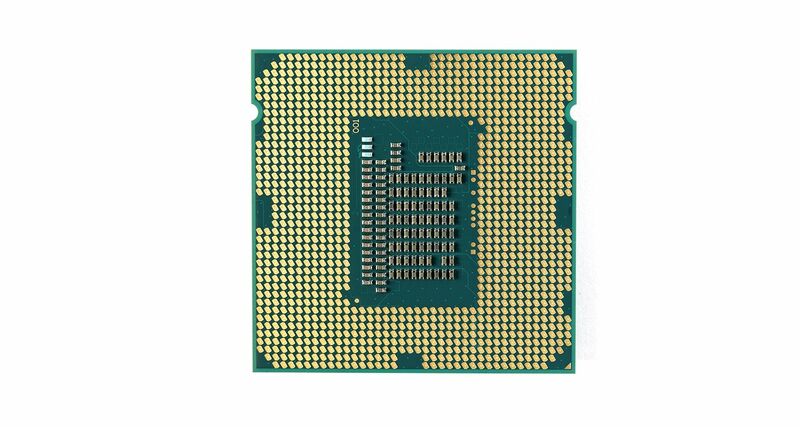 The CPU (Central Processing Unit or processor) is responsible for processing all information from programs run by your computer. The ‘clock speed’, or the speed at which the processor processes information, is measured in gigahertz (GHz). This means that a processor advertising a high GHz rating will likely perform faster than a similarly specified processor of the same brand and age. Random Access Memory, or RAM, is hardware found in the memory slots of the motherboard. 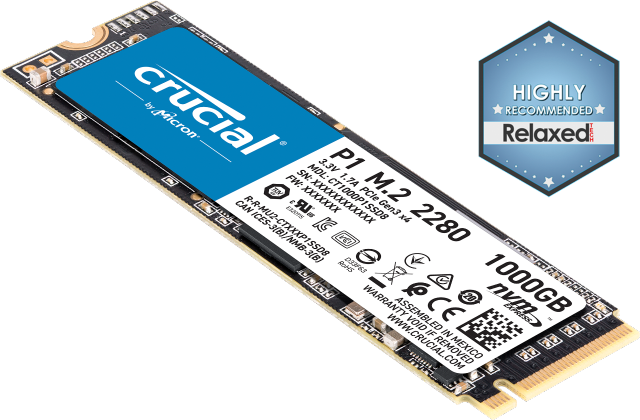 The role of RAM is to temporarily store on-the-fly information created by programs and to do so in a way that makes this data immediately accessible. The tasks that require random memory could be; rendering images for graphic design, edited video or photographs, multi-tasking with multiple apps open (for example, running a game on one screen and chatting via Discord on the other). How much RAM you require depends on the programs that you’ll be running. Medium intensity gaming generally uses 8GB of memory when performed alongside other programs, but video/graphic design can use upwards of 16GB of RAM. Find out how much memory your computer needs. The hard drive is a storage device responsible for storing permanent and temporary data. This data comes in many different forms, but is essentially anything saved or installed to a computer: for example, computer programs, family photos, operating system, word-processing documents, and so on. 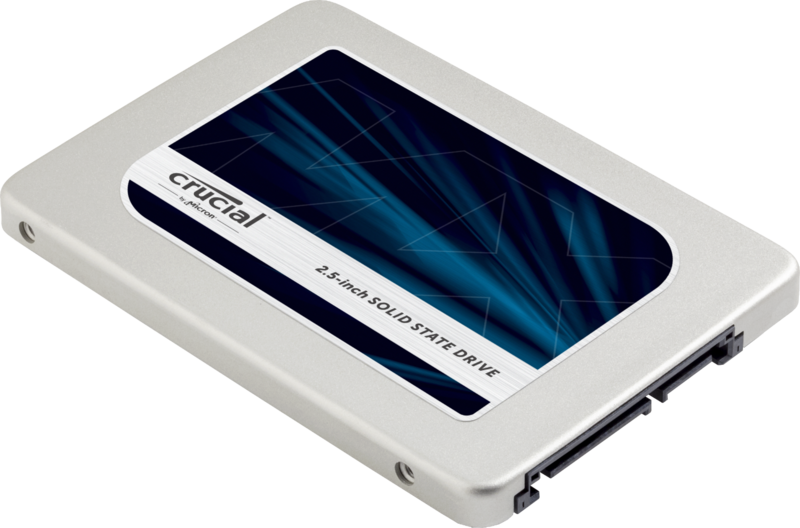 There are two different types of storage devices: the traditional hard disk drive (HDD) and the newer solid state drives (SSD). Hard disk drives work by writing binary data onto spinning magnetic disks called platters that rotate at high speeds, while a solid-state drive stores data by using static flash memory chips. Find out more about computer storage and how solid state drives work. Especially important for 3D rendering, the GPU does exactly what its name suggests and processes huge batches of graphic data. You will find that your computer’s graphics card has at least one GPU. 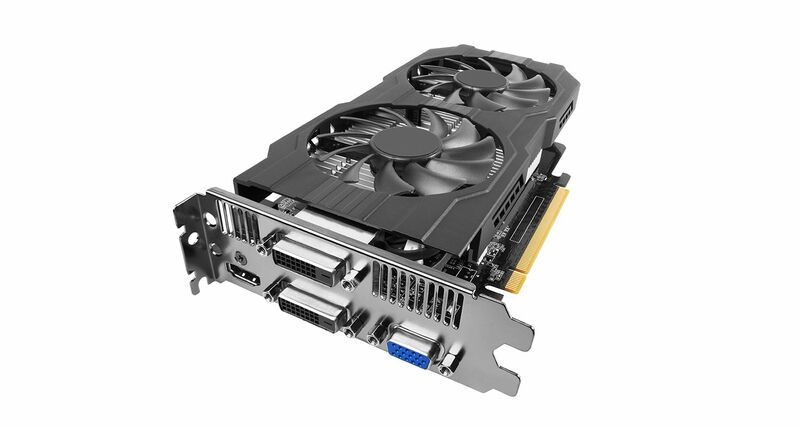 As opposed to the basic on-board graphic capabilities that PC motherboards supply, dedicated graphics cards interface with the motherboard via an expansion slot to work almost exclusively on graphic rendering. This also means you can upgrade your graphics card if you want to get a bit more performance from your PC. Not only this, but modern GPUs fulfil a broad computational workload beyond just rendering, making them an extension to the central processing unit. What is a Power Supply Unit (PSU)? A power supply unit, commonly abbreviated as PSU, does more than just supply your computer with power. It is the point where power enters your system from an external power source and is then allocated by the motherboard to individual component hardware. Not all power supplies are made equally however, and without the right wattage PSU your system will fail to work. A modern computer will generally need a PSU that’s rated between 500W – 850W to effectively power all hardware, although the size of the PSU will depend entirely on the power consumption of the system. Computers that are used for highly intensive tasks such as graphic design or gaming will require more powerful components and thus will need a bigger PSU to cater to this additional need. Without the right amount of power, components won’t be able to run effectively and the computer might experience crashes or simply fail to boot at all. It’s recommended to have a power supply that more than covers your system usage. Not only do you guard yourself against system failure, you also future-proof yourself against needing a new PSU when you upgrade to more powerful PC components. Understanding your computer and its hardware components can prove very useful when the time comes to upgrade or replace any parts, or when building a computer. Should a problem arise with the internal workings of your computer, you will have a better understanding of the importance of each component, the need for them to be in good working condition and how to go about solving any issues. ©2017 Micron Technology, Inc. All rights reserved. Information, products, and or specifications are subject to change without notice. Neither Crucial nor Micron Technology, Inc. is responsible for omissions or errors in typography or photography. Micron, the Micron logo, Crucial and the Crucial logo are trademarks or registered trademarks of Micron Technology, Inc. All other trademarks and service marks are the property of their respective owners.